When I first sprayed Slowdive, I gasped and said, “ORANGE BLOSSOM HONEY”. It is a realistic orange blossom honey, the most realistic that I’ve ever sniffed in perfumery. It’s sticky, gooey, amber-hued…when I smell it, I can taste it. There’s also a bright neroli and something that smells cherry pie filling (almond? heliotrope?). This opening smells like it would be the most decant liqueur ever (I want to add bourbon to this!). It’s sweet, syrup-y with fruits, honey and spicy anise. It’s delicious. This sticky, syrupy honey eventually becomes drier…waxier. It starts to smell like pipe tobacco, beeswax and warm hay. It smells sweet, but I wouldn’t call it a gourmand. It’s like a sepia haze of beeswax, honey and dry summer air. The white florals aren’t incredibly obvious on my skin, they add a creaminess and something that’s like “summer air”. The dry-down of Slowdive is balsamic and sweet, but in a way that smells like dried hay and barley (once again, not gourmand-y). It also has something that smells a bit like saliva on musky skin, which sounds gross, but I guess that is the animalic quality of the notes like honey/beeswax. It’s really like honeycomb and golden resins with enough coumarin to make this perfume last and last on the skin. Slowdive is marketed as a tobacco fragrance. I’ll be the first to admit that I’m a bit fatigued by tobacco perfume launches. That may be why I “sat” on my sample of this for a few months. Slowdive is a tobacco fragrance but it’s also a realistic honey/beeswax. Hiram Green uses imagery of late summer to describe this perfume. And I agree. When I wear this, I think of hazy, late summer evenings. It’s warm, everything is dry, there’s a sweetness from brush and flowers as well as sweet earthy clay. When I smell Slowdive, I imagine shades of amber and sepia. It takes me somewhere, a place, a memory, somewhere in time…that’s what a good perfume should do. 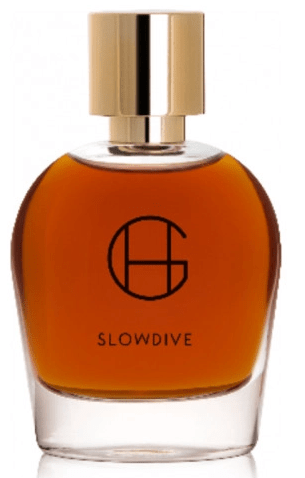 Give Slowdive a try if you like honey or sweet tobacco perfumes. Or perfumes like By Kilian Back to Black, Edward Bess La Femme Bohème, Tom Ford Tobacco Vanille, Amouroud Miel Sauvage, Ava Luxe Honey, MAC Naked Honey (RIP) and/or DSH Perfumes Cimabue. – DSH Perfumes is another brand that treats honey oh, so well. The 1.7 oz retails for $165 at Indigo Perfumery. A travel spray and samples are also available for purchase. Victoria’s Final EauPINION – Honey, beeswax and late summer air. If you like honey as much as I do, then this is a must try for you. *Disclaimer – Sample provided by the brand. I am not financially compensated for my reviews. My opinions are my own. Product pic from the brand. Cassi van den Dungen from Vogue Australia 2013. Right?! It sounds gross but somehow it isn’t. It actually *works*. I have to think about my super weird note for a sec…. Previous Post The Lipstick League – Week of 4.16.18 – What Are You Wearing?